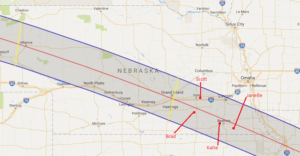 All four Arboretum staff members traveled to Nebraska for Monday’s solar eclipse. I happened to be on a business errand up there to pick up plants for our upcoming sale, while my co-workers fanned out to different towns in the zone of totality. We had no idea how close in proximity we were to each other until we returned to work Tuesday! 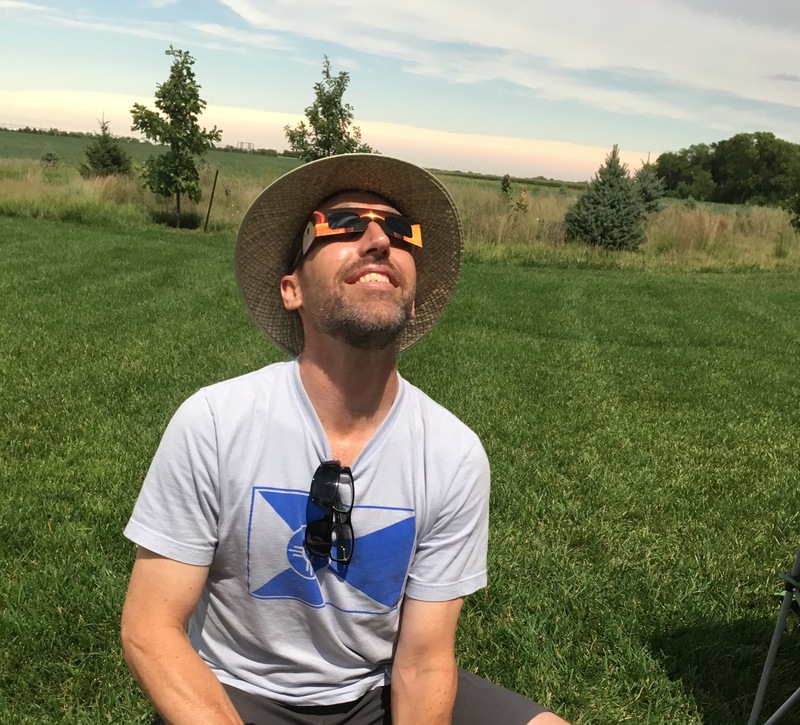 Here are some reflections from each of us about our “totality” experiences. Janelle visited the home-church of her great-grandmother to get a look at the eclipse. Friends, family and church members shared lunch on the lawn while children enjoyed games and crafts related to the eclipse. Janelle took the video below at the moment of totality when the shadow of the moon fell over the area, creating a look of twilight. Listen for the enthusiastic young boy exclaiming “totality! totality!” in the background; a perfect soundtrack! Monday was a special father-son bonding experience for Brad and his father Leon. On a last minute whim the two zipped across the state line to witness the total eclipse first hand. Through an old coworker and with the help of serendipity, they ended up welcomed into the home of strangers and watched the event from their yard. Brad safely watching the eclipse through his solar glasses. The Arboretum received overwhelming interest in the Solar Eclipse viewing trip. Scott and our board chairwoman Lorna Harder led two buses full of Arboretum supporters, nature enthusiasts and umbraphiles to Prairie Gold Nursery in York, just on the north side of the totality zone. We are so grateful that the nursery staff were willing to let the Arboretum commandeer their parking lot for this event. Our trip-goers were delighted with the opportunity to buy some beautiful plants while waiting for the eclipse to begin. 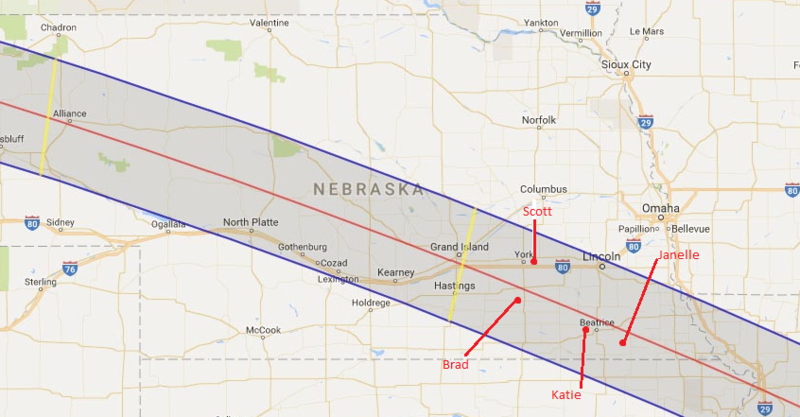 I watched the show from a friend’s family farm near Beatrice, very near the center of the totality zone. Out in the open country, I experienced the natural phenomena of the eclipse as the moon’s shadow draped over the land: sudden stillness of the wind, quieting of the birds, and a sunset-orange coloration encircling the entire horizon. I resisted the urge to take photos. Instead, I just soaked in the eerie feeling of darkness during the day and reflected on all the changes around me. 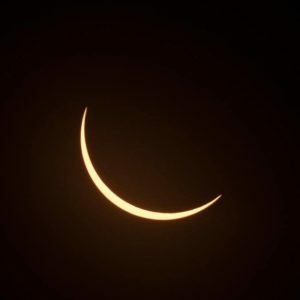 I had been very skeptical in past weeks about all the hullabaloo leading up to this eclipse. It can’t be as exciting as everyone was talking it up to be, right? I am glad to be proven wrong, and so happy that I happened to be in the zone of totality so I could view it for a few moments without the solar glasses. 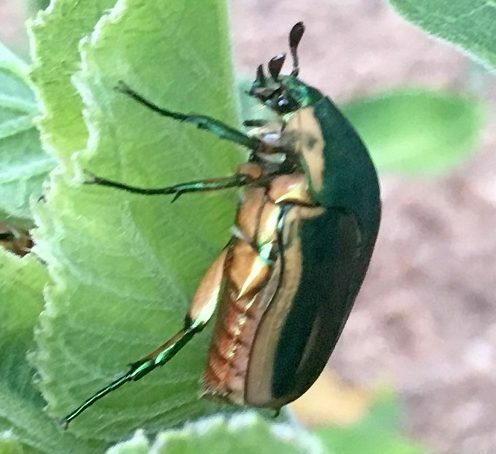 OK, “beetle barrage” may be a little over dramatic, since I’ve only witnessed a dozen or so of the startlingly large, shiny beetles in my yard. 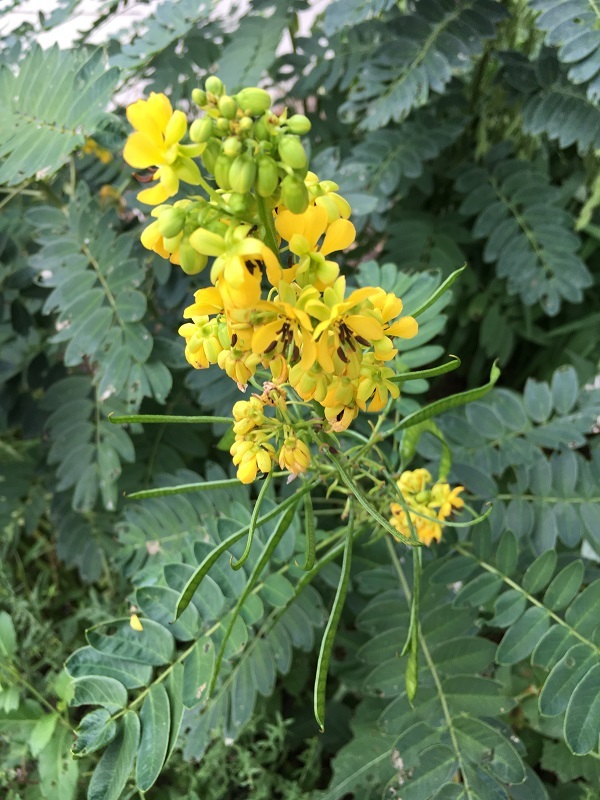 But by exhibiting a bumble bee flight pattern, buzzing sound, and a 3/4 to 1 inch long metallic-looking velvety green and brown body, they certainly caught my attention in a big way. 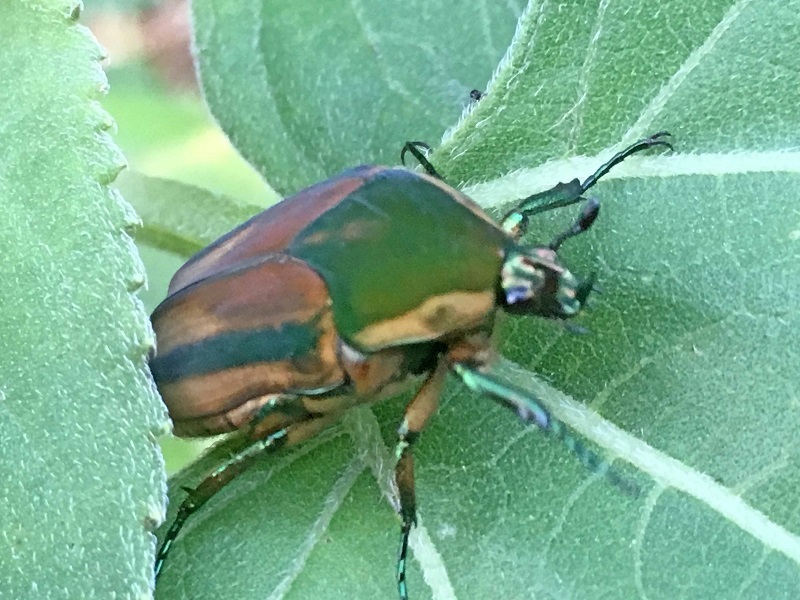 I’ve never seen or noticed this beetle before, later identified as a green June beetle (Cotinus nitida) that is categorized in the Scarabaeidae or scarab family . For about ten days or so in late July, a small population hung around my home prairie garden in Newton on taller plants of annual sunflower and common milkweed (no apparent eating, mostly chillin’). Their presence was a bit unnerving at first because I wondered if they were an invasive, non-native species. 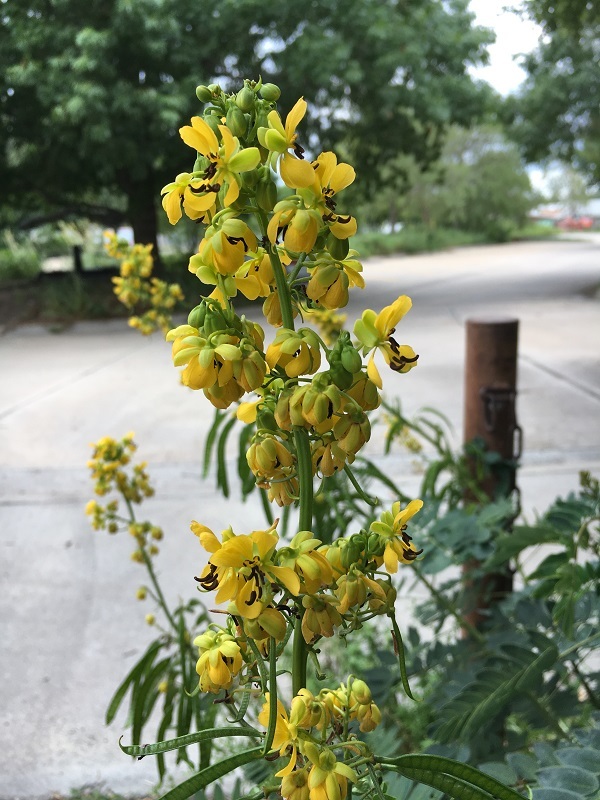 Mostly they reminded me of the smaller Japanese beetle, a serious pest of more than 200 food and landscaping plants throughout the Eastern United States that has exploded on the scene in recent years in the Western U.S. as well. My temporary beetle anxiety was based on the fact that non-native species are a big problem in this country. Their exploding populations without natural controls/competition have displaced native biological diversity. 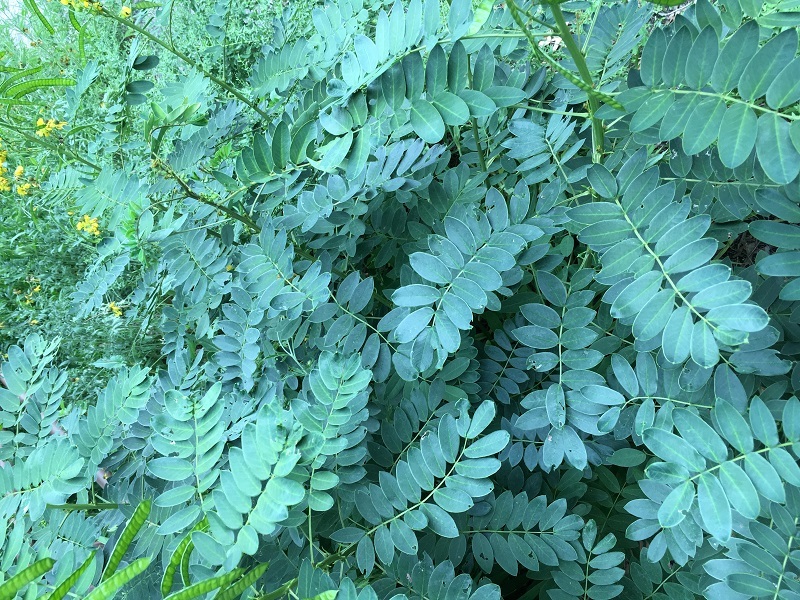 In addition, the U.S. has spent hundreds of billions of dollars annually trying to fight the spread of these invasive species. European starlings (Sturnus vulgaris) and house sparrows (Passer domesticus) have homogenized bird life in many urban areas throughout the U.S.
Silver carp (Hypophthalmichthys molitrix) are spreading throughout major rivers of the Midwestern U.S.
Zebra mussels (Dreissena polymorphaare) are choking streams, lakes and reservoirs of the Northeastern U.S.
Purple loosestrife (Lythrum salicaria) has overtaken wetlands of the Northern U.S.
Sericea lespedeza (Lespedeza cuneata) has invaded many grasslands of the Eastern U.S.
Old world bluestems (Caucasian, Bothriochloa bladhii, and yellow, B. ischaemum) are invading grasslands throughout the Southern U.S. But I was glad to learn that green June beetles are not an invasive problem. Their larval grub form grows to about 1.5″ and is distinctive for crawling on its back using stiff body hairs. 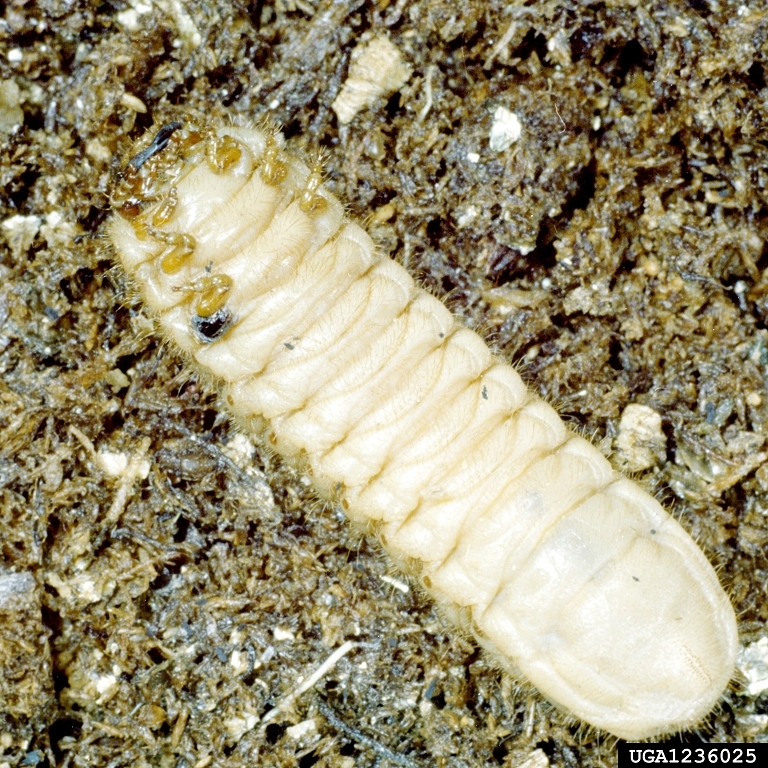 The larval grub form of this beetle can be considered a pest when causing damage to the roots of turf grass, and the adults are attracted to rotting fruit. It is found throughout the Eastern United States. Nowhere did I find, however, that this species is a significant problem pest. 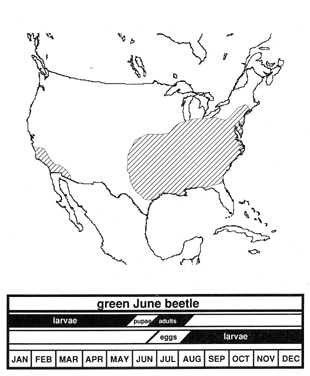 Green June beetle range map. The whole experience of learning about this new (to me) insect bolstered my fascination with beetles. One of my favorite classes in graduate school was Introduction to Entomology. My professor for that class, Dr. Dan Young, was a beetle specialist, and he continuously touted the many interesting and important elements of this insect group. Beetles make up the largest insect order, Coleoptera, made up of about 400,000 species, and constitute almost 40% of described insects and 25% of all known animal life-forms; new species are discovered frequently. Beetles interact with their ecosystems in several ways. They often feed on plants and fungi, break down animal and plant debris, and eat other insects. Photo by Margarethe Brummermann – Arizona, showing Arizona beetle diversity. The specimen two down and two over from the top left corner is a figeater beetle (Cotinis mutabilis), a close relative of the green June beetle. The September Kansas State Fair is nearly upon us once again and one of my favorite features there is the 4-H building housing all the extensive, diverse, and beautifully displayed insect collections. Now I’ll have one more familiar species to spot in the green June beetle. During a typical rainstorm, water is removed from your roof through downspouts and drains. Then the water runs off your lawn, which may have been treated with pesticides and fertilizers. This water and the oily street water are collected in the gutter. All these pollutants in the water are carried into larger streams and rivers downstream. Rain gardens address this problem at the source, your yard. 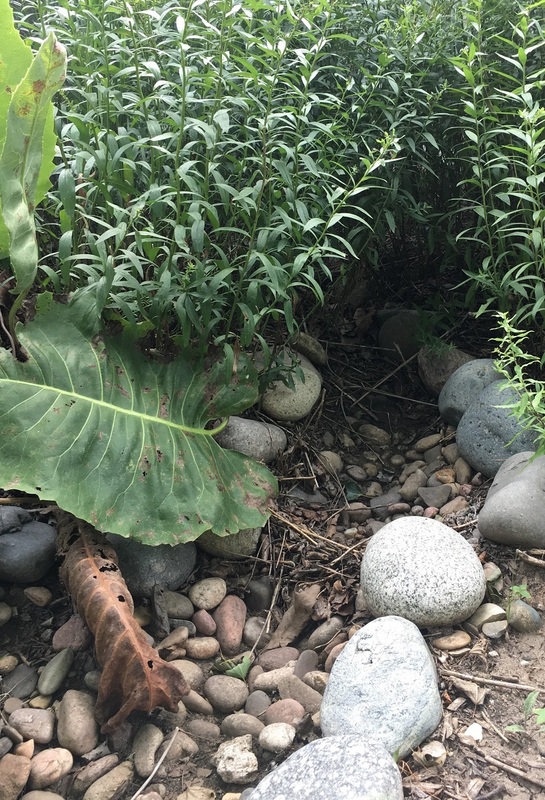 Though rain gardens are relatively new in the gardening world, they gained popularity after people began to realize the benefits of capturing and holding water on their property. This water can be utilized and filtered by native plants, reducing the quantity of polluted water that ultimately reaches the drain. Rain gardens work like a sponge, holding water, filtering the water and finally allowing it to slowly percolate down into the soil. The most important step in creating a rain garden is determining where the water naturally flows. You will also need to discover what type of soil you have, keeping in mind that sandy soils drain much faster than heavy clay soils. 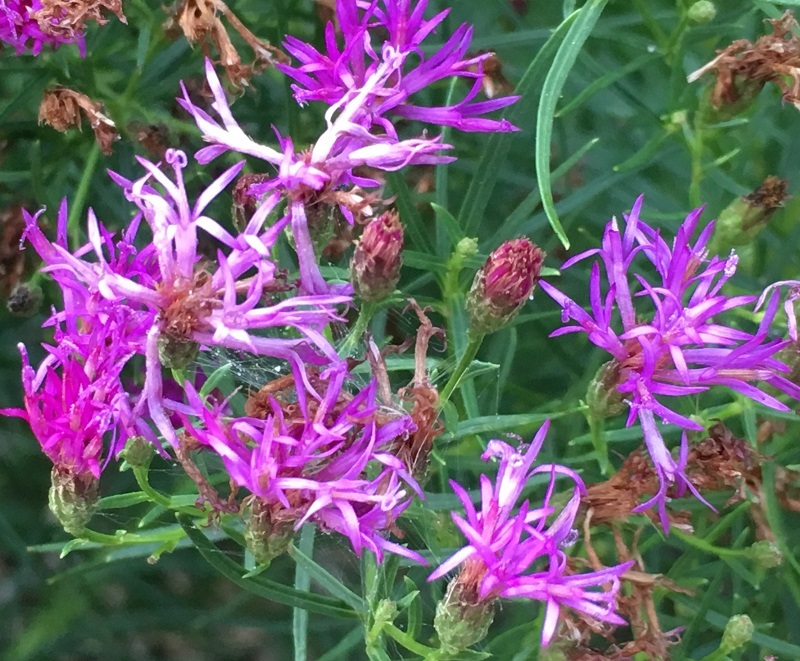 You can create a smaller rain garden in sandy soil than if you have heavy clay soil. 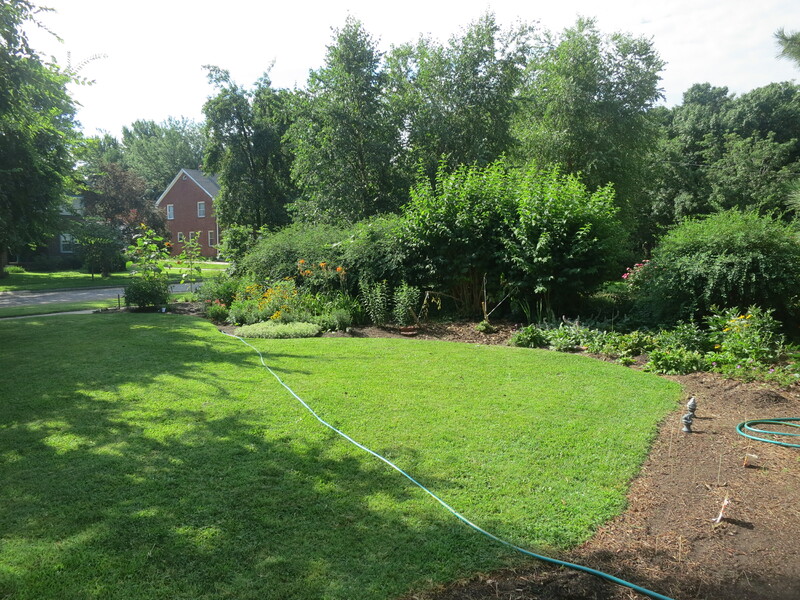 A rain garden larger than 150 square feet will look intentional rather than plunked down in the middle of your yard. Make sure it is located at least 10 feet from the house foundation. After factoring in the existing landscape, choose a shape that adds aesthetic value to your property. I like to lay out a garden hose to visually help me determine the proper shape. It can be oval, long and narrow, kidney shaped or a combination. Decide the shape of the rain garden that will fit your existing landscape. Before digging, make sure you won’t encounter any utility lines. Contact (800) DIG-RITE so utility lines can be marked. A typical rain garden is four to 8 inches deep. I like to create shallow drainage ditches from the downspouts to the rain garden to direct the water. A rain garden is comprised of three zones. 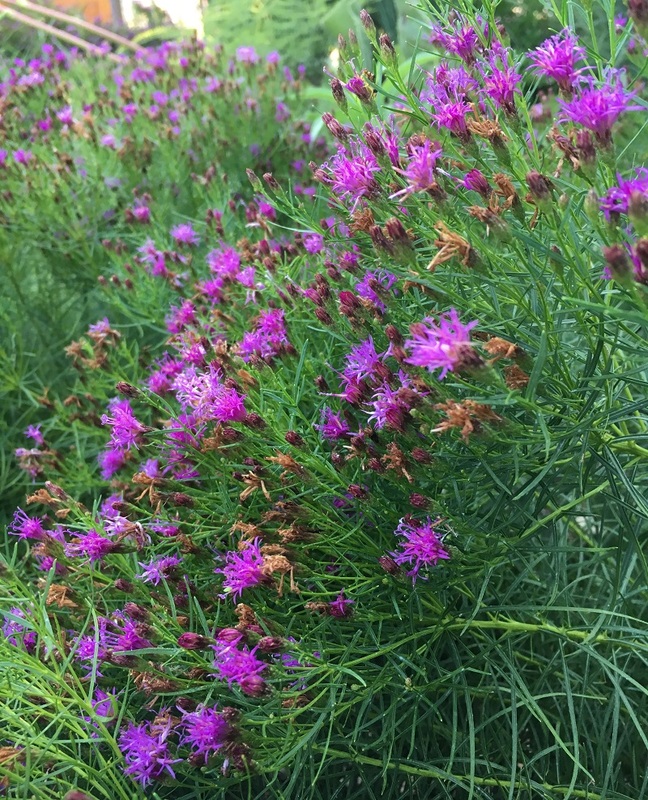 In the lowest zone, plant species should be selected that can tolerate short periods of standing water as well as fluctuating water levels and dry conditions. 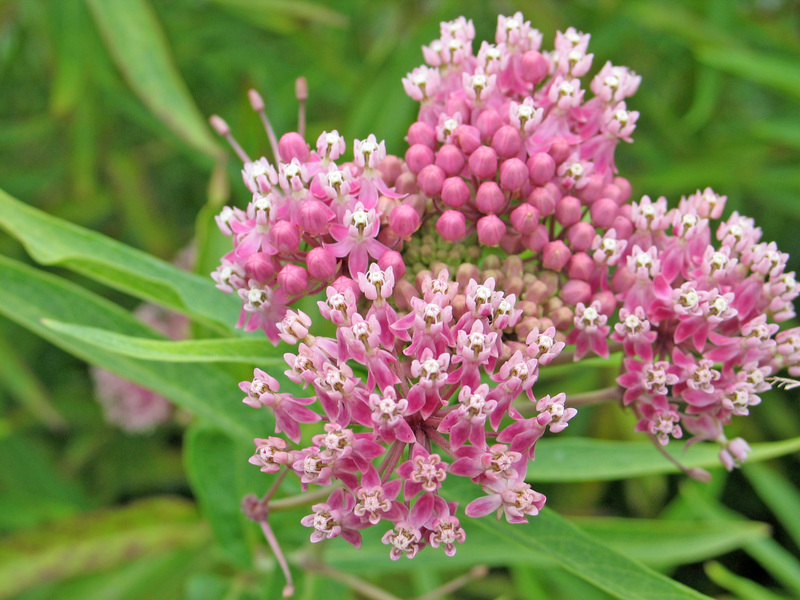 Plants like sedges and swamp milkweed grow well in this zone. In the middle zone, vegetation will need to tolerate both wet and dry conditions. And in the upper zone, along the outer edges of the berm, plants should be selected that prefer dryer conditions. 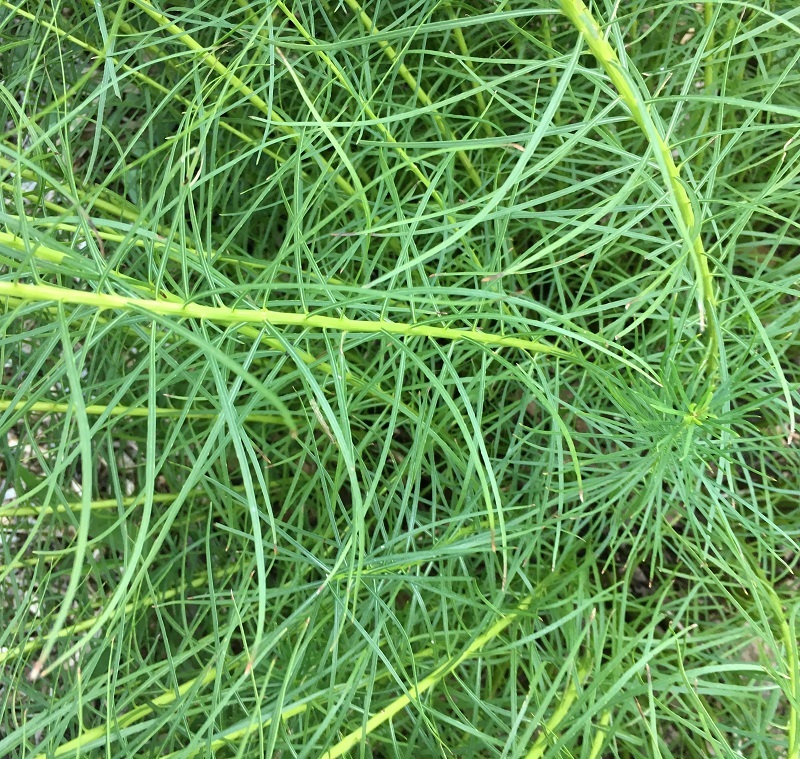 Plants like little bluestem, butterfly milkweed, and coneflowers will grow well along the edges. Once established, you will only need to water your rain garden during periods of extreme drought. I like to apply one to two inches of wood mulch along the edges of the rain garden to control weeds and conserve water. I use pea gravel in the bottom and sides of the garden because the wood mulch will float away during larger rain events. 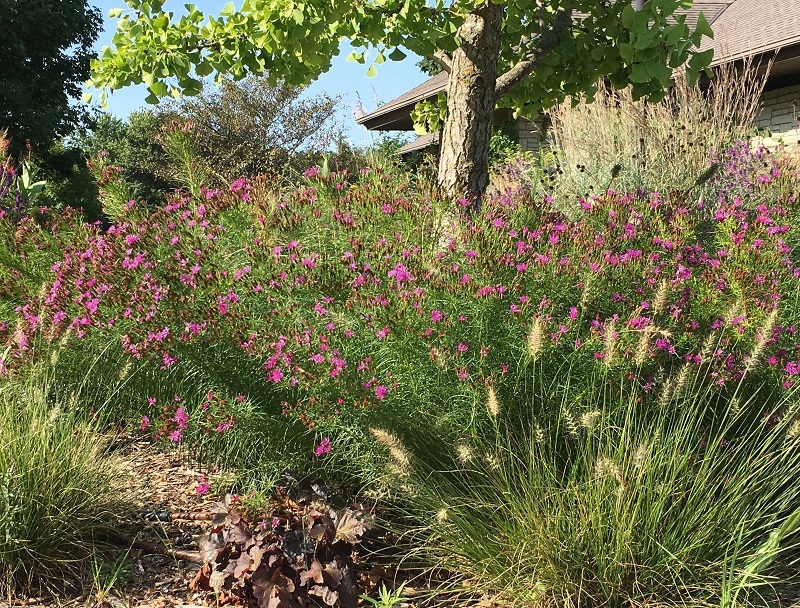 Rain gardens are not only about controlling stormwater runoff from your yard, but also creating a habitat that adds aesthetic value to your landscape. Imagine the cumulative effect a series of rain gardens will have within a community on water quality. Creating a rain garden in your yard is another simple way to have a positive impact on the environment.